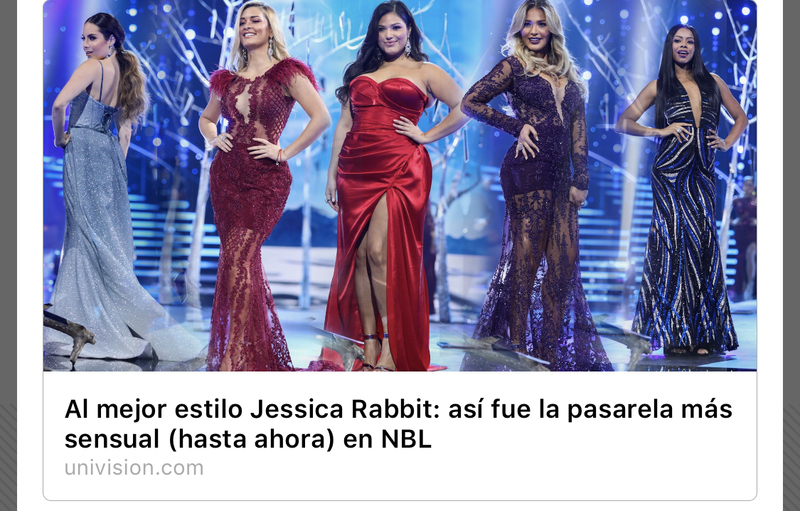 Nichole Richie Mentored Johana on NBC “Fashion Star"
Nuestra Belleza Latina has a full episode only on GLAUDI on Unvision as Johana designs for all shapes and sizes. Melissa Marty winner of Nuestra Belleza on Univision ! as the face of GLAUDI campaign! Carolina Urrea dressed in GLAUDI by Johana Hernandez Girl Power collection.